Sean Ellis is the British director behind CASHBACK (2006), which he expanded from his Oscar-nominated 2004 short film with the same title; THE BROKEN (2008), a haunting, compelling horror mystery in the vein of INVASION OF THE BODY SNATCHERS (1956/ 1978); METRO MANILA (2013), a crime thriller/ drama set in The Philippines and filmed in the native Tagalog language; and his latest film, ANTHROPOID (2016), based on the true story of the assassination of Hitler's third in command, Reinhard Heydrich, during WW2. 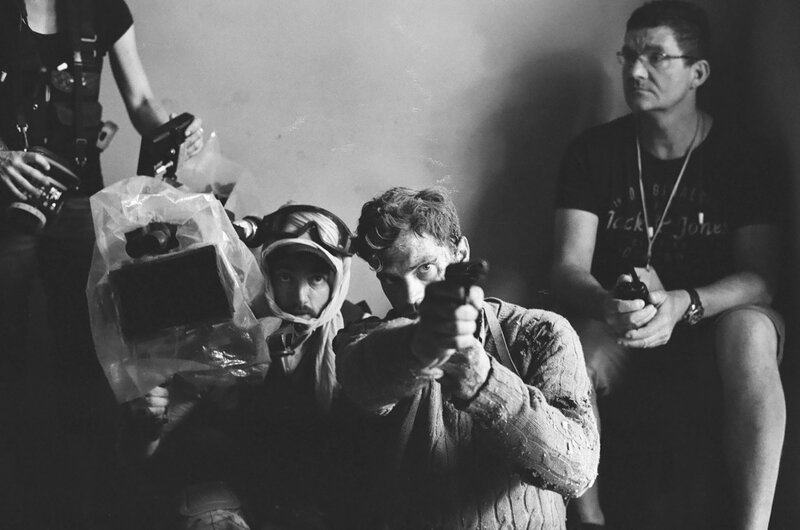 In the first part of a two-part interview, I spoke with Ellis about his love of ALIEN (1979), his early background as a stills photographer and fashion photographer, his approaches towards his craft and the themes of his work, and the making of CASHBACK and ANTHROPOID. Growing up, what was the most important movie for you? Movies were important for me from about the age of 12. I was quite aware of the power of them from an early age and became obsessed, watching pretty much a movie a day, as I do now. My mom loved movies too and she would allow me to go to the video shop every day. New films were about £2, older films were a £1 and then the old films were 50p. I would rent the old films because I realised I could get quite a few for the price of a newer one, and I'd wait for the new releases to drop in price. As a teenager in the 80s, I became a real connoisseur of the movies released in that decade. The most influentual film I saw during this time was ALIEN, which I saw when I was 13. It was a real game-changer for me. Having a year or two of watching close to 800 horror genre B-movies and then seeing ALIEN was crazy. It was more than just the film itself. It was the impact of the art direction, the violence, the complete package of it, the imagination. It was something I had never seen. It instantly became my favorite film, and it still is. It's a seminal piece of cinema. With that film and BLADE RUNNER (1982), Ridley Scott was just playing on another level. How did your interest in stills photography as a teenager take hold? Nowadays a fourteen year old can get his hands on a digital camera and make a little film, but when I was younger, we didn't have that access, and Super 8 wouldn't have been an option because my family wouldn't have been able to afford the processing costs, let alone figure out how to do the sound. Photography seemed like a thing I could do on my own and without too much cost. I used to borrow my dad's camera and take pictures, and a lot of the pictures I took were film-related in some respect. I would spend time lighting my Action Man figures and setting them on fire as if it was a scene from a movie. I was definitely using it as a tool in the same way I use a film camera now as a filmmaker. This was how I learned photography, about exposure and composition, and about what sort of photography I liked. I moved more into fashion photography because it seemed you could create more elaborate images. Through my 20s I was either assisting fashion photographers or going out on my own and doing stuff. Towards the end of my 20s I started getting published in magazines like I.D., The Face and Dazed and Confused. How much of your experience with photography bled into the short film Cashback? I think it's very much about photography and having a machine that can freeze a moment, and that's basically what a camera does. There was that element to the film that was fantastical, but on the other hand, if you swap Ben (Sean Biggerstaff) being able to freeze time with him taking a picture, it's kind of the same thing. All of your films, starting with Cashback, have had a look that is for want of a better word, 'international'. Was that a look you were going after specifically? Did you want to avoid making the film look specifically British? I think it's just the way the film came out. My style just evolves and changes as I get older. A lot of ANTHROPOID is hand-held, and someone was asking me if that was my new style. But it just felt like the style the film needed. The style has to serve the story, otherwise you're just imposing your style on everything you do. There are directors that do that, and it's fine. All their movies look and sound the same, and the audience knows what it's getting. I've always wanted to have a style that was more invisible than that. I always had this fantasy that I would make films and people would say ''Wow! He directed that? I didn't know that!'' I wanted the films to be more important than who directed it. I'd rather be known for the films I've made than as a personality who made films. Your films tackle dark subjects but are usually curiously hopeful at the end of the film. Would you agree with that? I would actually, especially the last two, which have ironic, double-edged endings. They are 'down' endings but in the great scheme of things the characters had the last say and were in one way successful. I'm interested in characters winning but paying the ultimate price. Those endings are hopeful too in that those characters, unlike many people, get to learn what they are capable of and who they truly are before they sacrifice themselves. Yes, and I think that's why we go to the movies – to get the cause and effect of life's actions simultaneously. In real life you often have cause without the effect or effect without a cause. But in cinema, life and the cause and effect and its answers are there on the big screen. I also get from your films that when people are in stressful or extraordinary situations, morality becomes less flexible. Morality is not black and white. Ultimately, under pressure we make decisions that reveal our true identities. We are not all good or bad. Under pressure, we all react differently emotionally. I'm trying to be honest in the films in presenting that. Your four films are all distinct from each other, and the themes that link them are not immediately apparent. One feels there's a fascinating history to each film as to how you came to make them. I think the only thing apparent between them is that they're completely different from each other! People ask me if I purposely choose projects that are a 160 degree turn from the last film, but it's not really that. It's more like ''trying to find something interesting to say''. I just don't want to say the same thing for the rest of my life. I want to find other interesting things to talk about, things that reflect what it is to live this life. Does that approach make it harder to get your films financed, if people cannot fix you to a certain style or genre of film? It's definitely not getting easier. The canvas has changed. Cinema is shrinking, but the need to consume great stories has not diminished. I wonder what directors like David Lean and Stanley Kubrick would be working on today if they were still alive. How would they use the internet or technology? What would still inspiret hem to make films? I am a big fan of David Lean, and he was not making the same film each time. There was a very grandiose canvas that was very Lean-esque but ultimately all his films were very different. Spielberg's films are always very different too. He's one of the greatest living directors we have, a master of the craft. He's the closest thing we have to a Mozart. Your films are also refreshingly adult. They always go as far as they need to go in terms of their content. Is it important to you to not hold back? I think so. Every film is a learning curve though. I almost look at them as a catalogue of mistakes. I always see what I was trying to do and what I ended up with. You try to learn to love them for their flaws or despite them. You're always trying to make each film it's own thing. How much attention do you pay to critics? Look at what happened with David Lean and RYAN'S DAUGHTER (1970). The critics were so harsh that he lost his confidence. It took him fourteen years to make another film. And you think ''Shame on you. Because of what you said, we were deprived of a great director's films for fourteen years. '' I don't really read reviews anymore. I just kind of get the jist of them. You can't let critical opinion sway what you are doing because it's hard enough making movies. I think people are relying on critics more nowadays and not discovering films for themselves. I remember choosing movies based on the poster. I discovered films nobody I knew had seen. You co-wrote ANTHROPOID with Stanley Kubrick's long-term assistant, Anthony Frewin. Was the story ever a Kubrick project? No, it wasn't, but Kubrick did tell Anthony it was a great story. He was himself looking to do a WW2 film himself, Aryan Papers, but it never got off the ground because SCHINDLER'S LIST (1993) beat him to it. Peter Weir was going to do the Anthropoid story at one point and even went to Prague to location scout. 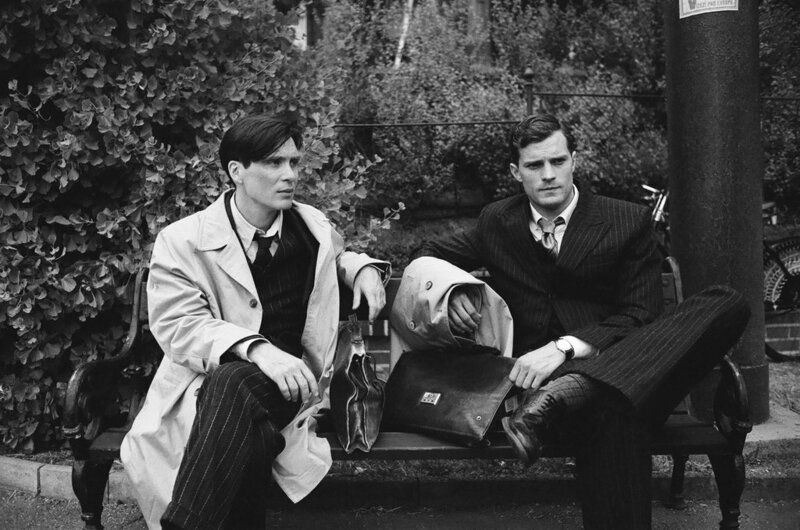 What was it that excited you the most about the true-life story of ANTHROPOID? It was a great story of sacrifice. Coming off METRO MANILA, which dealt with a man sacrificing himself for his family, I guess ANTHROPOID was quite similar in that it was two men sacrificing themselves for their country. It was a story that I had been researching for a number of years. I had a lot of material on it before I decided it should be my next film. 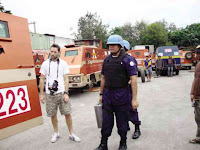 METRO MANILA had some great action work. 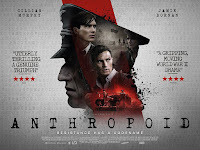 Was part of the attraction in doing ANTHROPOID the chance to further improve your action directing chops? The climax to the film is incredibly done. I don't really look at it in those terms. 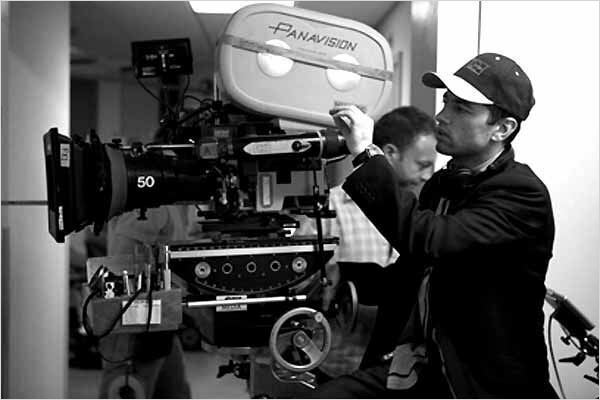 On every film you do, you're learning new skills on set and constantly improving your craft. Hopefully it never gets to the point where it's always ''I know how this gets done. '' As far as the climax went, I knew it was going to be a massive setpiece so it became a question of getting as prepared as we could get so it would all go smoothly and we'd be able to adapt to any issues or problems we would encounter along the way. Were you consciously trying to bring something different to the wartime men on a mission genre kind of film, or did you feel that focusing on the real-life story was paramount? I had great passion for the story and I was pretty faithful to it. You couldn't really deviate too much from it. I wanted to re-tell the story for a new generation of people because there are a lot of people who don't know about this part of history. There have been movies done before on the story and some of them have become quite beloved in the memories of people. That was interesting, because it was something I hadn't come up against before, my other films being original stories. I guess if you break the film down into genres it's kind of like a heist movie where the heist goes wrong, and it all ends with a massive home invasion sequence.